Mobile app design is a crucial phase during development and a mobile app’s UI can make or break the application. Delivering a great user experience should be your number one priority as a mobile app developer as it has a powerful and direct impact on your user engagement, conversion rates, and consequently revenues. There are many mobile app design tools that help you sketch your mobile app wireframes, create prototypes, and bring them to life. Below we list the top mobile app design tools that are essential to your mobile app development process to take your app to the next level. Sketch is a vector-based design tool with a focus on screen design. Mobile app developers and designers use Sketch to create user interfaces for different mobile devices. 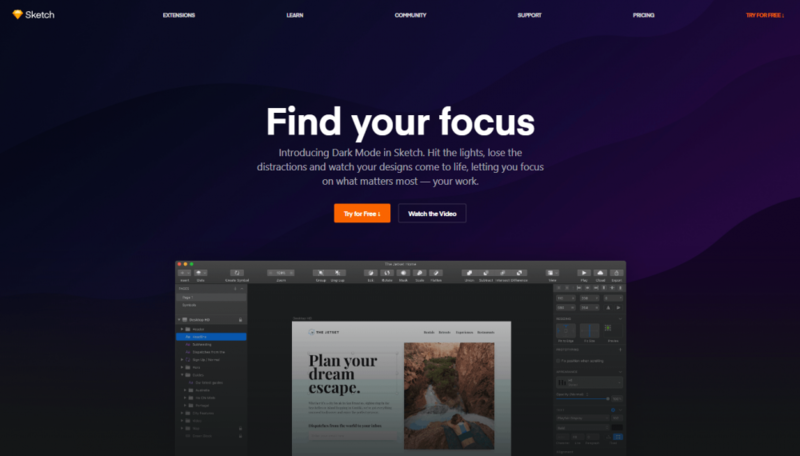 Sketch’s plethora of easy-to-use yet extremely powerful tools allows both beginner and professional designers to focus on what they do best: design. Since its launch, Sketch was created with digital designers in mind and it shows in how the tools are made to fit all of their needs. Over the years, Sketch grew extensively both in popularity and user base, and is now used by some of the biggest companies and mobile apps in the world. InVision is undoubtedly one of the most powerful mobile app design tools in the world. It allows you to quickly turn ideas into powerful screen designs with intuitive vector-based drawing and flexible layers. You can effortlessly animate transitions and add micro-interactions to transform your static screens into working prototypes. It also gives you the ability to seamlessly navigate the entire design process in one place, keeping everyone fully engaged and aware of all updates. 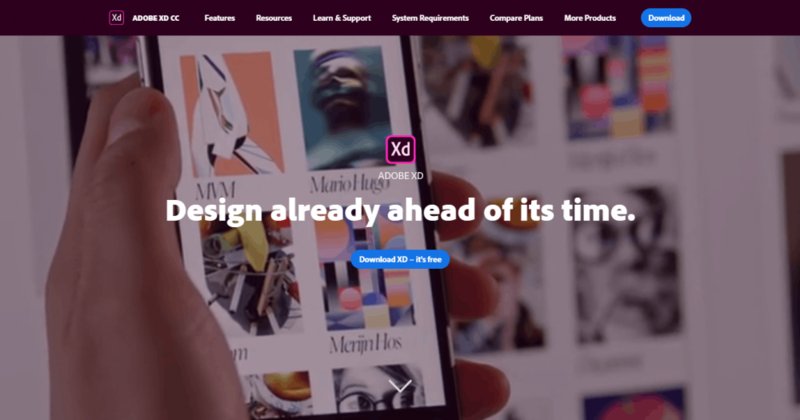 Adobe XD offers a quick way to design, prototype, and share user interfaces and experiences. It reimagines the way designers create experiences with fast, intuitive tools. It allows you to easily switch from Design to Prototype mode in a click, and then drag wires between artboards to turn your wireframes into interactive prototypes in no time. You can also make changes on the fly and see them reflected right away on your phone. It’s also great for collaborative projects as it allows you to securely share your projects with your team and mobile app developers for fast feedback and easy hand-off to production. Pricing: Free. Paid plans start at $9.99 per month. 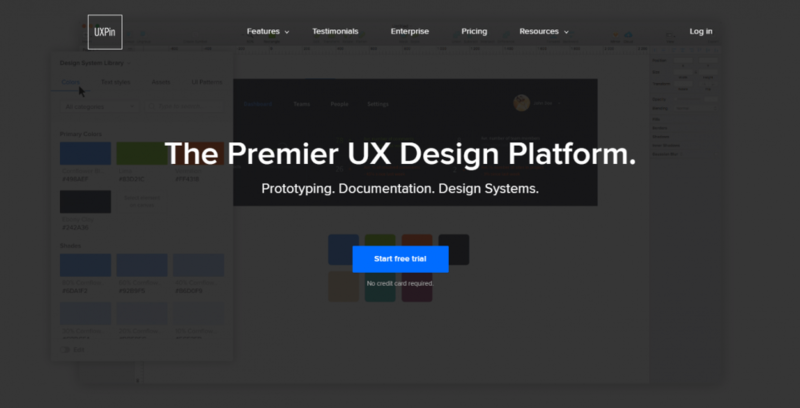 UXPin is a product design platform that allows product and design teams to easily design, collaborate on, and present fully-interactive wireframes and prototypes. It lets you take products from concept to beautiful, pixel-perfect prototypes without any compromise. 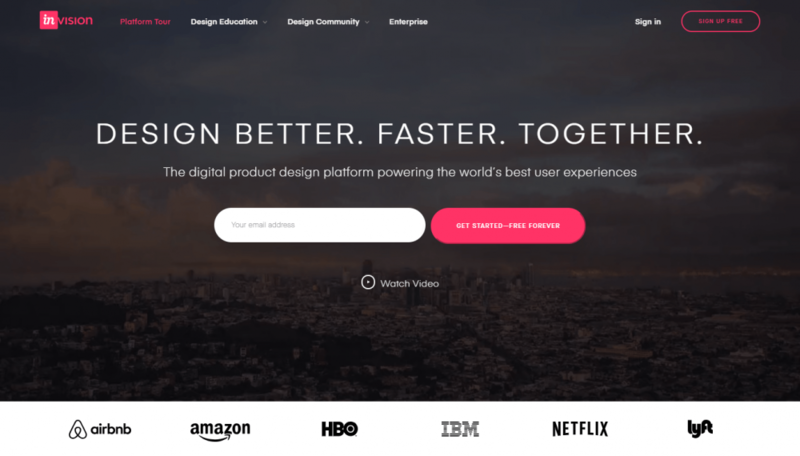 You can collaborate and share your work with anyone involved in the product, the design team, developers, or clients, and even run live usability tests with end-users. Marvel is an all-in-one mobile app design platform. It’s created with everyone in mind, not just mobile app designers, and as a result, it provides a simple and intuitive mobile app design tool that enables everyone to quickly create top-notch assets and mockups. It’s great during the early stages of the design process when you’re trying to form your concept into something tangible and translate it to your team, clients, or stakeholders as it allows you to turn your idea into a wireframe within minutes from a desktop or even a phone or tablet. Pricing: Free. Paid plans start at $12 per month. 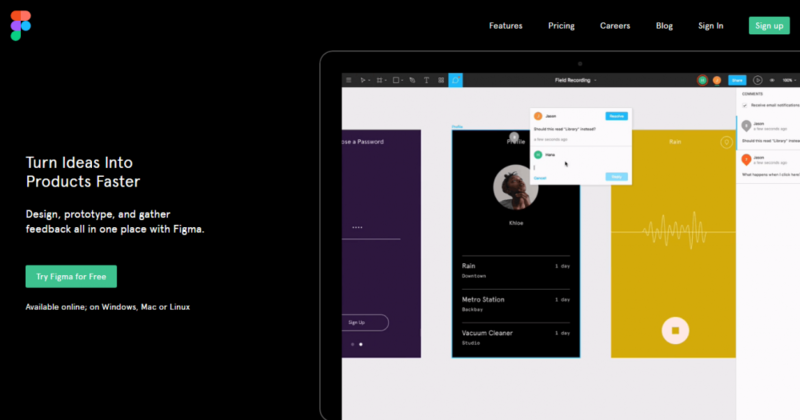 Figma is the world’s first collaborative interface design tool. It allows you to design and prototype your digital experiences, together, in real-time and in one place; helping you to turn your ideas into products, faster. Figma has the tools you need to get your work done. It allows you to create design systems with linked UI components the whole team can use, reduce the friction of turning visual concepts into code, and gives you the flexibility and controls you need to scale Figma for your team. Pricing: Free. Paid plans start at $12 per editor per month. 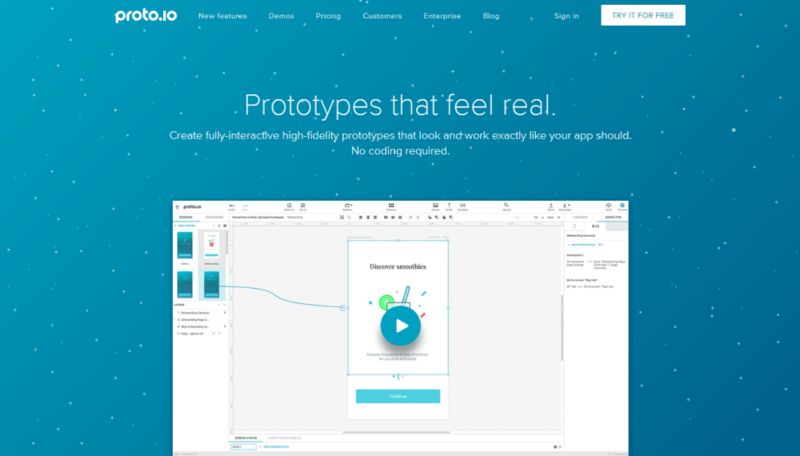 Proto.io is a mobile app prototyping platform which is perfect for beginners as it utilizes a drag-and-drop interface does not require coding. It was originally designed to prototype on mobile devices and has since expanded to allow users to prototype apps for anything with a screen interface including Smart TVs, digital camera interfaces, cars, airplanes, and gaming consoles. It is also the first mobile prototyping tool to support full feature animations of user interface items within a prototype screen. The included icon gallery contains thousands of SVG icons for use as buttons, lists, and tab bars and it supports web fonts, which allows mobile designers to access all available online fonts. 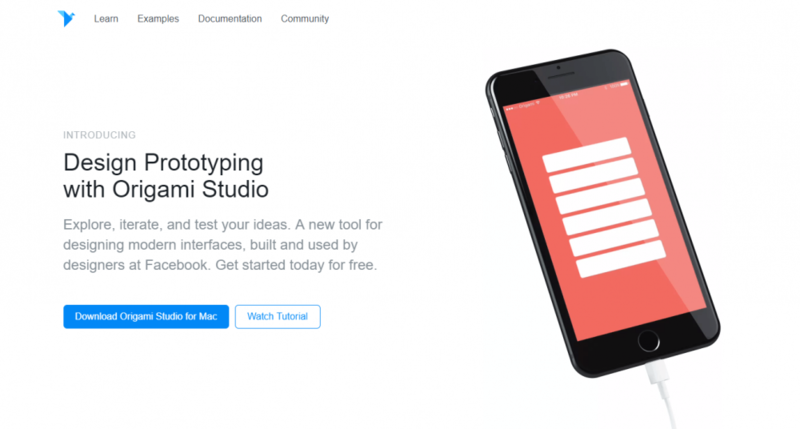 Developed by Facebook, Origami Studio is a free design tool that allows mobile app designers to rapidly build and share interactive interfaces. Origami was primarily created and is still used to design and build Facebook’s products and mobile apps including Facebook, Messenger, and Instagram. It uses a unique system of patches that are plug-and-play components for quickly adding interaction, animation, and behavior to prototypes. You can also add Photoshop, Sketch, and Illustrator content to your project and add interactivity, rich media, and motion. 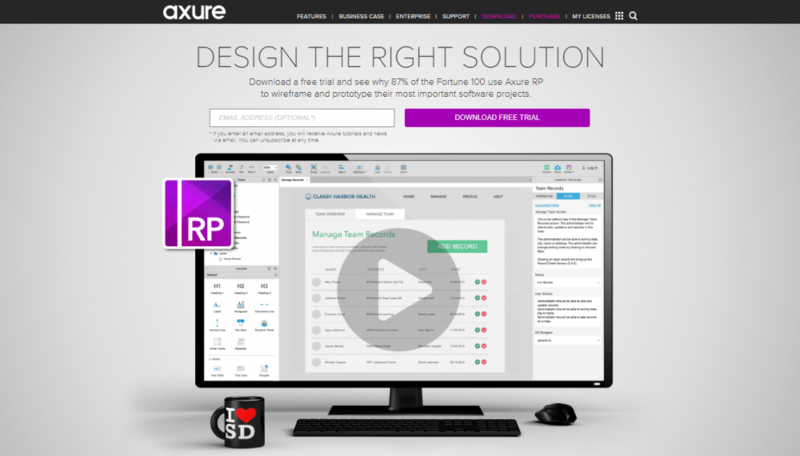 Axure is a popular wireframing and rapid prototyping tool with a drag-and-drop interface. It is used by more than 25,000 organizations around the world including 87 of the Fortune 100 companies. It allows you to create custom controls by combining existing widgets and assigning actions in response to events or touch gestures like pinch and swipe. It also allows multiple people to work on the same project at the same time, making it easier for teams to collaborate. Framer is one of the most advanced interactive design tools on the market, and yet intuitively easy all at once. 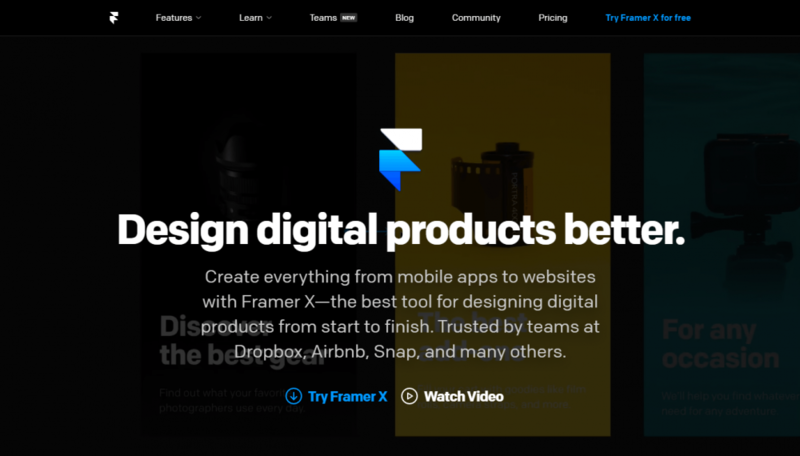 It doesn’t require you any coding background, you can just drag and drop in fully functional components from the Framer X Store, their interactive design marketplace. Framer X includes automated grouping, adaptive layouts, and flexible stacks so you can effortlessly arrange elements on your canvas without worrying about even distribution, alignment, or responsiveness. Users: Dropbox, Pinterest, Twitter, Disney, and more. Pricing: Plans start at $12 per month. 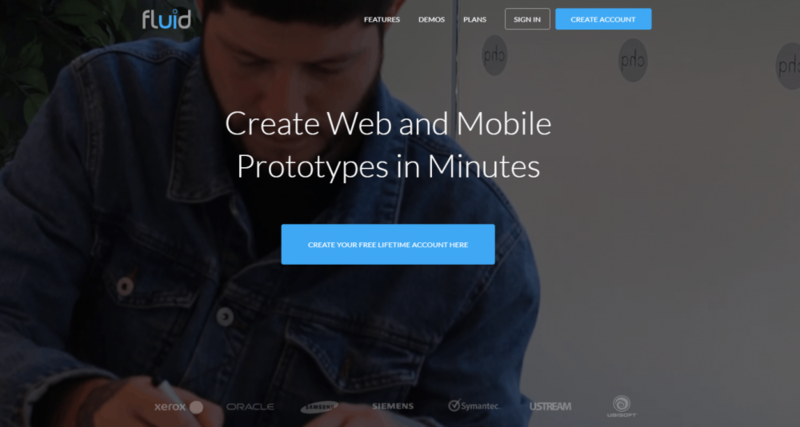 Justinmind allows you to design mobile app wireframes and prototypes without a single line of code. Its easy-to-use tool comes with UI kits for web, iOS, and Android, plus all the interactions you need to go from concept to a high-fidelity prototype, just a step before the first version of a mobile app. It also provides features for annotating widgets and defining interactions such as linking, animations, conditional linking, calculations, simulating tab controls, show/hide elements and database simulation with real data. Pricing: Free. Paid plans start at $19 per user per month. Fluid UI lets you create visually stunning prototypes in minutes. You can create interactive mobile app prototypes with taps, swipes, clicks and more gestures using their simple linking system. 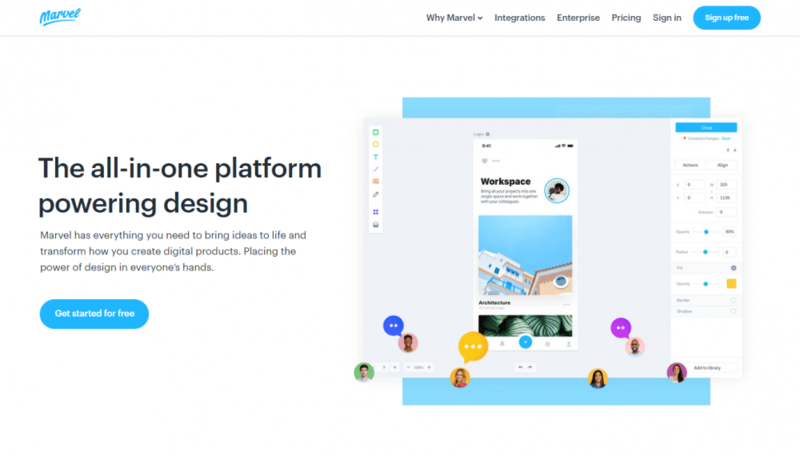 It also provides over 2,000 built-in components from Material Design, iOS, Windows, and Wireframe libraries, allowing you to integrate prototypes faster with integrated review and feedback. Pricing: Free. Plans start at $8.25 per month. OmniGraffle is a diagramming and graphic design application used to create mobile app wireframes. It features several design tools including canvases, templates, stencils, vector drawing, and grid guides, along with a drag-and-drop interface and a notes function to annotate and create specification documentation for prototypes and mockups. OmniGraffle can be great for indie developers but it lacks interactivity capabilities and is not easily used for team collaboration due to its limitations as a desktop and tablet application. Another popular mobile app prototyping tool is Mockplus, which is used by nearly 600,000 project managers, developers, and designers worldwide. 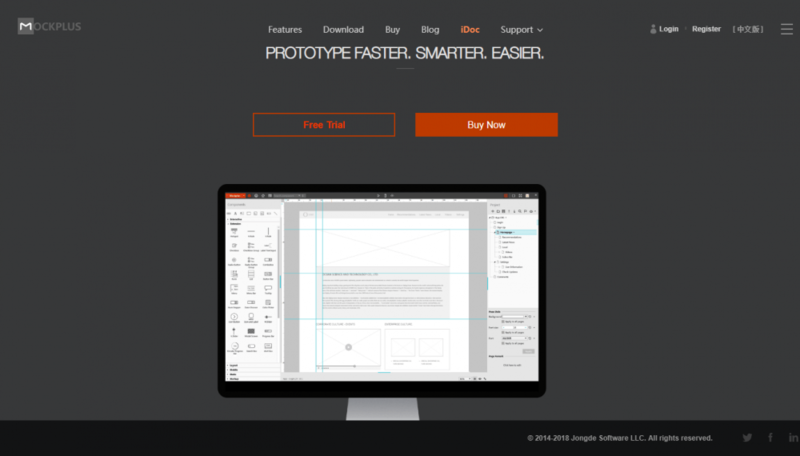 With simple drag-and-drop, you can build interactive prototypes effortlessly. A set of pre-designed components is also available, enabling you to fully create interactions faster and easier. Mockplus comes with more than 3,000 icons and nearly 200 components. You can just drag these components into the canvas to prototype your app ideas within a few minutes. It also enables you to preview prototypes on native devices instantly just by scanning a generated QR code, allowing for faster testing. Pricing: Free. Plans start at $139.3 per year. Balsamiq is a rapid wireframing tool that reproduces the experience of sketching on a whiteboard. Having the ability to make wireframes fast, you’ll be able to generate more ideas so you can discover the best solutions. Since Balsamiq requires little investment in time and effort, you’ll revise your designs more often and refine them sooner. That leaves more time for discussion and writing code, making it a perfect tool for lean, agile teams.